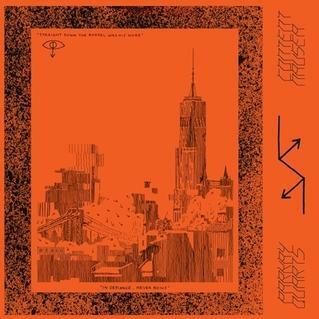 Parquet Courts side-project Parkay Quarts releases a wordy, brainy, beat-poet-loving brand of punk not dissimmilar from their normal slacker-punk. If the name Parkay Quarts looks awfully similar to that of garage-rock quartet Parquet Courts, you wouldn't be surprised to find out that both entities are pretty close to the same thing. Essentially a very slight departure for frontmen Andrew Savage and Austin Brown, Parkay Quarts is a sloppier version of Parquet Courts, which is not necessarily a bad thing for the slack-rockers. Savage and Brown are more interested in making wordy, brainy, beat-poet-loving punk than layered compositions, resulting in the sprawling monologue of Content Nausea's title track and the noisy squall of "The Map." The album certainly doesn't dwell on any one song for too long, shifting efficiently from one punchy track to another. Unfortunately for Parkay Quarts, it isn't dissimilar enough from Savage and Brown's Parquet Courts fare to really make Content Nausea feel like much more than a slightly repetitious, yet still pretty good b-sides project.